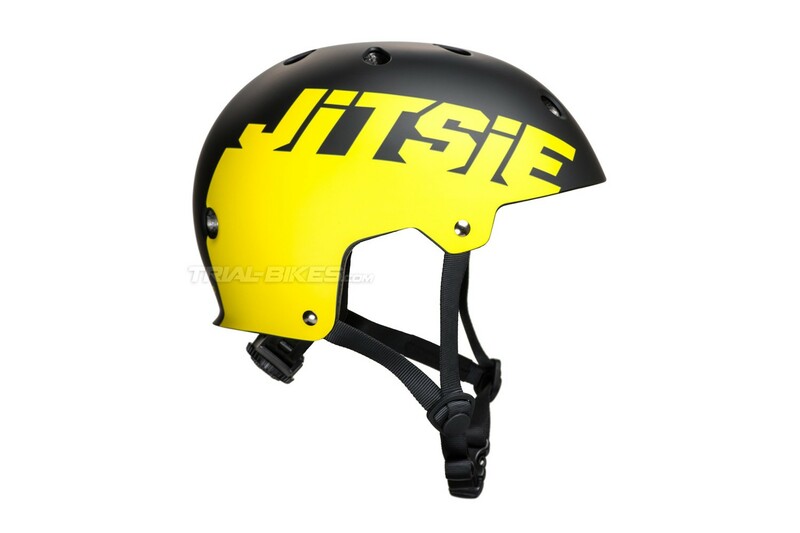 Jitsie’s C3 Solid helmet is ideal for kids and adults as well as street and competition trials riding. Available in 3 sizes and 4 colours. 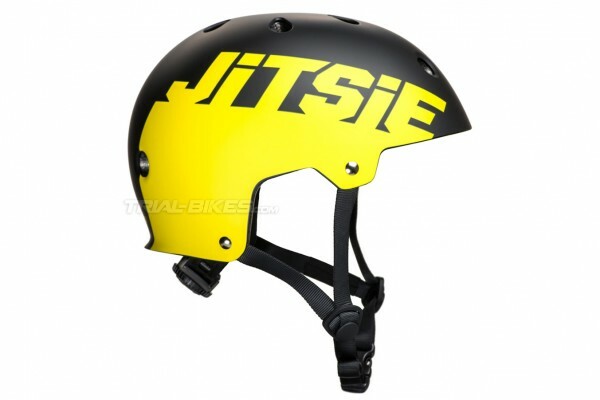 - New Jitsie C3 Solid helmet, designed for bike trials by prestigious Belgian brand Jitsie. 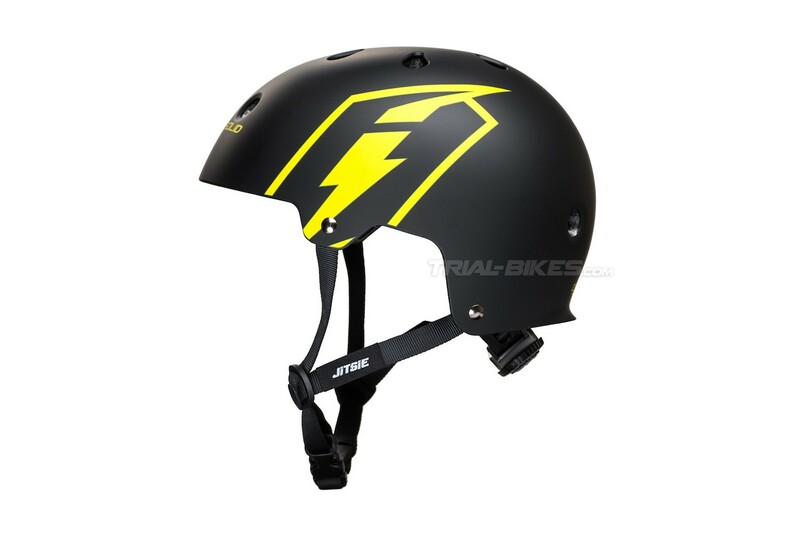 - This helmet is an ideal choice for bike trials, no matter what your age or riding ability are. - The outer shell is made in a single, super stiff and compact carcass, and it uses an impact resistant plastic. - ABS inner carcass, injection-moulded with EPS protective foam. - Designed with 11 ventilation holes that allow for optimal refrigeration. - Straps are comfortable and easy to adjust thanks to their plastic guides. - Easy to use spin dial fitment system, which fits even the smallest riders. - Quick dry, removable and washable. - Available at our website in 4 different colour combinations. 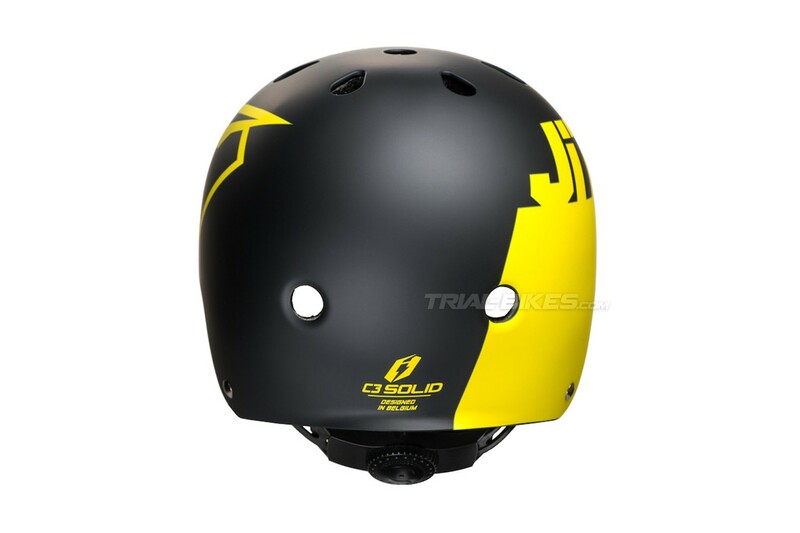 - Available in black and yellow, with cool Jitsie graphics. · Jitsie C3 Solid black/grey. · Jitsie C3 Solid white/black. · Jitsie C3 Solid black/red.